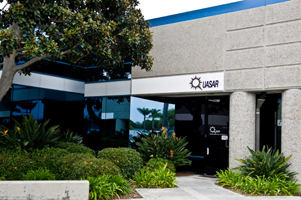 QUASAR’s primary facility is located in San Diego, California. We maintain an 11,500 sq. ft. facility with a comprehensive range of advanced electronic instrumentation, including state-of-the-art electric and magnetic field modeling capabilities, calibration systems, and a double-shielded, climate-controlled, RF-screened room, rated to provide 120 dB of electrostatic shielding at frequencies below 1 kHz. These facilities meet all of QUASAR’s current needs from development through manufacture and marketing of complete sensing systems.